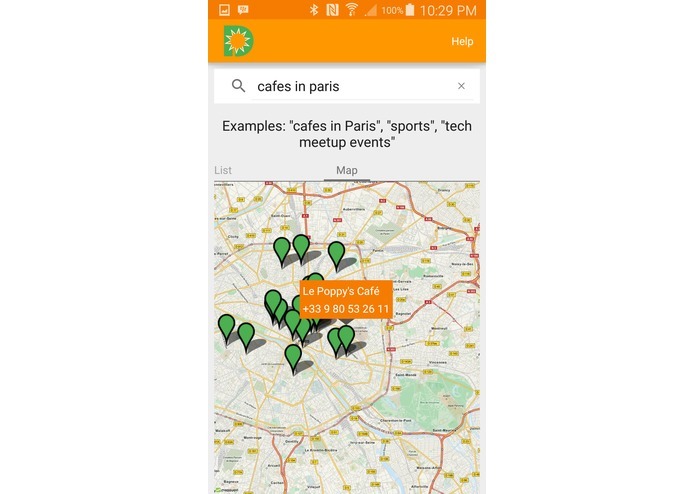 Open source intelligent personal assistant for finding places, events and meetings. 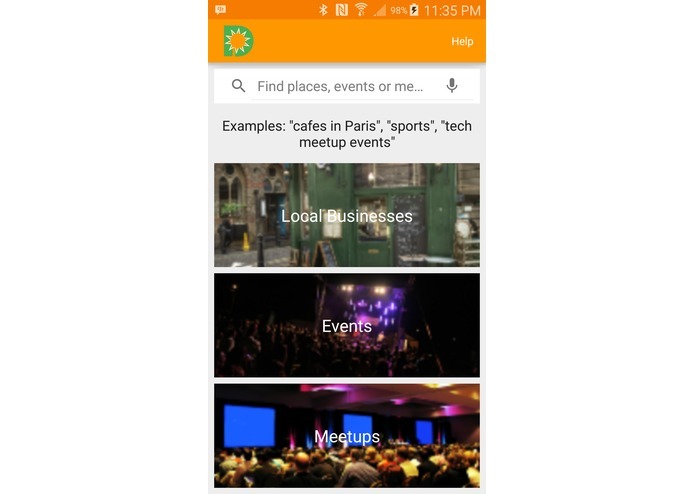 Daytripper is an intelligent personal assistant for finding places, events and meetings. 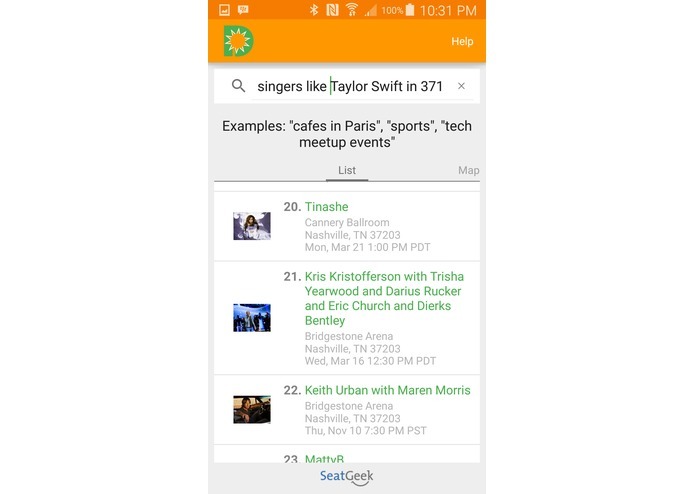 Within a single app, users can access business listings, ticketed events, meetups, and even call an Uber taxi. 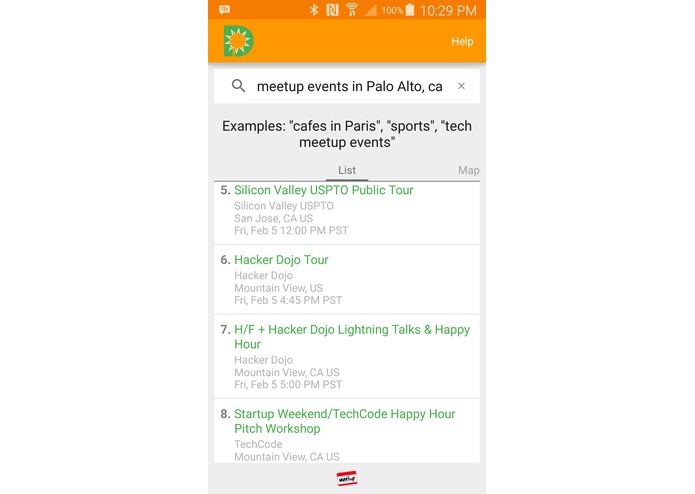 The interface is simple - just type or speak a query like "sports", "pizza" or "tech meetup events". Results will be tailored to your current location, or to locations in the query like "restaurants in New York". You can search for an Uber taxi by clicking on a map point and then say or type "pick up". The app is open source and could be used as a base for building a Siri-like assistant.